Thanks again to Shaminder at Newsweek for picking up a couple pictures for the March 18, 2016, issue of the magazine. 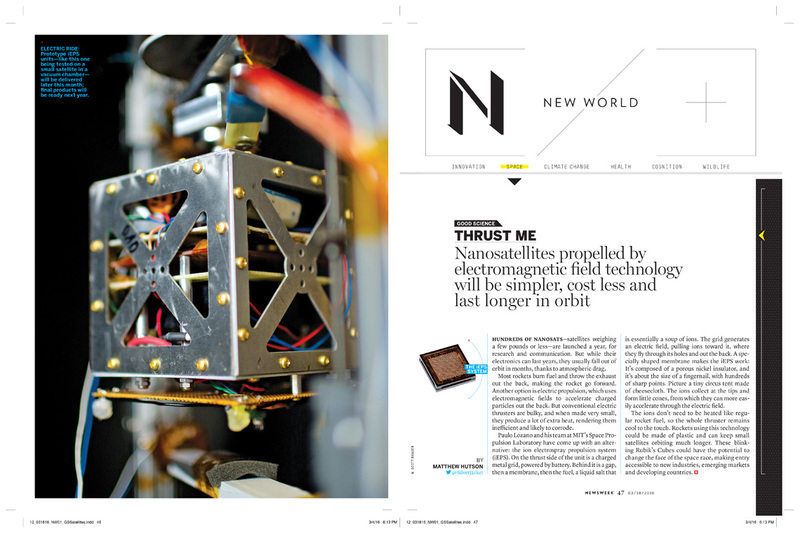 This time, it was a couple pictures of the MIT's Space Propulsion Laboratory's nanosatellites, originally shot for the Chronicle of Higher Education. It's always nice to find a new use for old pictures, especially in a big spread like above. 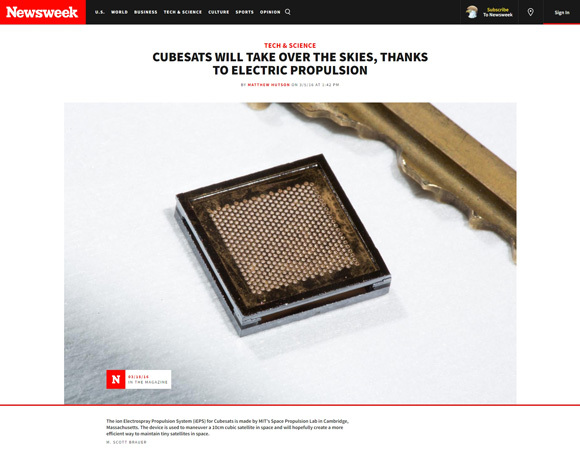 The two pictures were also used online alongside the article, Cubesats Will Take Over the Skies, Thanks to Electric Propulsion. And here's something funny about the big picture accompanying the online article. I needed something common and small to show the scale of the device and there wasn't anything in the lab that really seemed right. So I dug into my pocket and found a quarter and my house key, figuring those would both give a recognizable sense of scale. That's how my house key ended up being in a picture published by Newsweek. Newsweek also recently published a handful of pictures from my project on the New Hampshire presidential primary.